Autodesk has one of the oldest and most successful brand communities in the world. If Apple and Airbnb showed how the largest brands run their communities (and StackOverflow showed what’s possible with a fully customized platform), Autodesk represents what’s possible with the tools most organizations have available today. The community began as user groups on bulletin boards in the mid-90s. For a time Autodesk, sent their website visitors to separate user groups. In the early 00s, Autodesk reclaimed the communities on their own site and have steadily grown membership and activities ever since. 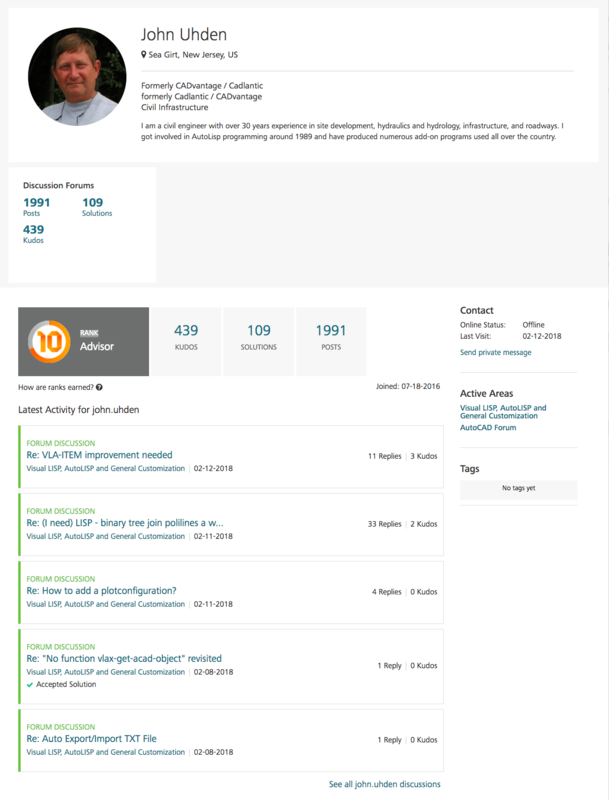 Pay careful attention to how Autodesk has structured its community efforts. Instead of trying to have a single community perform multiple functions, Autodesk has multiple communities performing (largely) single functions. Product communities. These are largely communities for peers to share ideas and help each other get better at the topic. Support communities. These are communities for people to solve their product-related frustrations. Ideation communities. These are for customer feedback, testing new products, and suggesting ideas. Peer group communities. 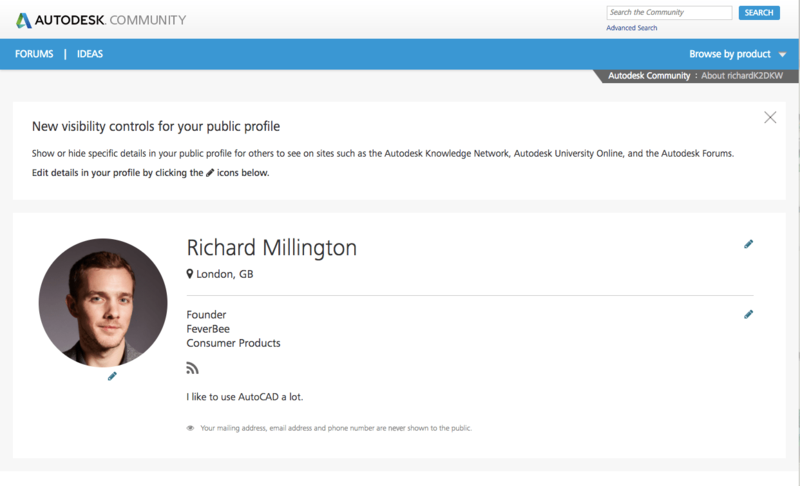 Autodesk has communities for its University program, a developer network, and the MVP/experts program. Social media platforms. This includes a large collection of blogs and social media accounts. Multiple languages. 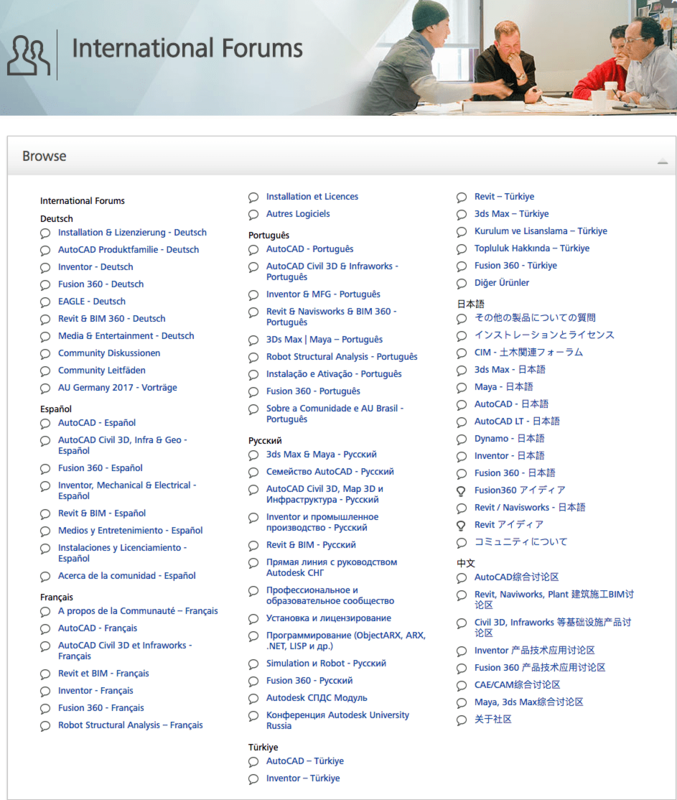 Autodesk has distinct communities which cover Chinese, French, Turkish, German, Spanish, Portuguese, and Russian. The structure of a community program changes everything. 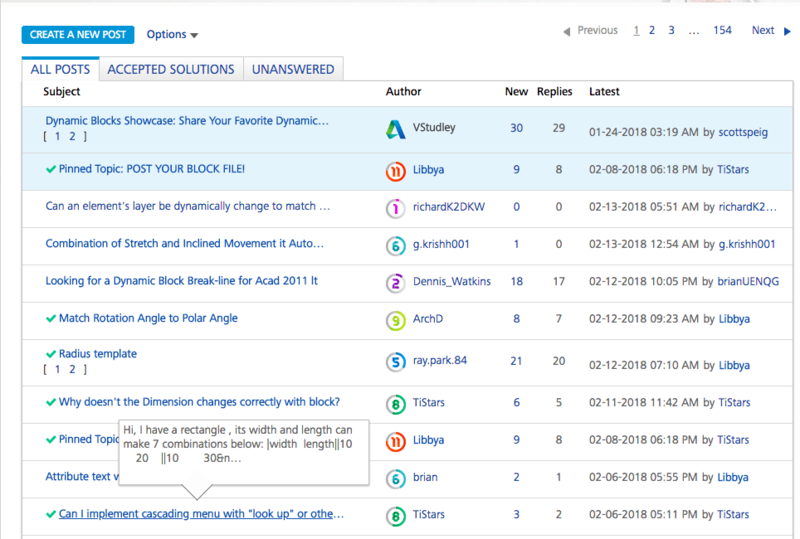 Autodesk structures communities by their unique purpose, audience segments, and functions. The benefit of this is each community can use software and have a design fully suited to achieving its goals. This ensures Autodesk gets the maximum value from its community. The downside is Autodesk might end up having multiple communities competing for the same group of members. This can be overwhelming to members and strangle activity for some groups. Key Lesson 1 : Mature communities shouldn’t focus on a single stream of value, they should support multiple areas of the business. Key Lesson 2 : As you grow, you want to fragment the community by unique purpose of the community (not by the unique groups you’re working with). 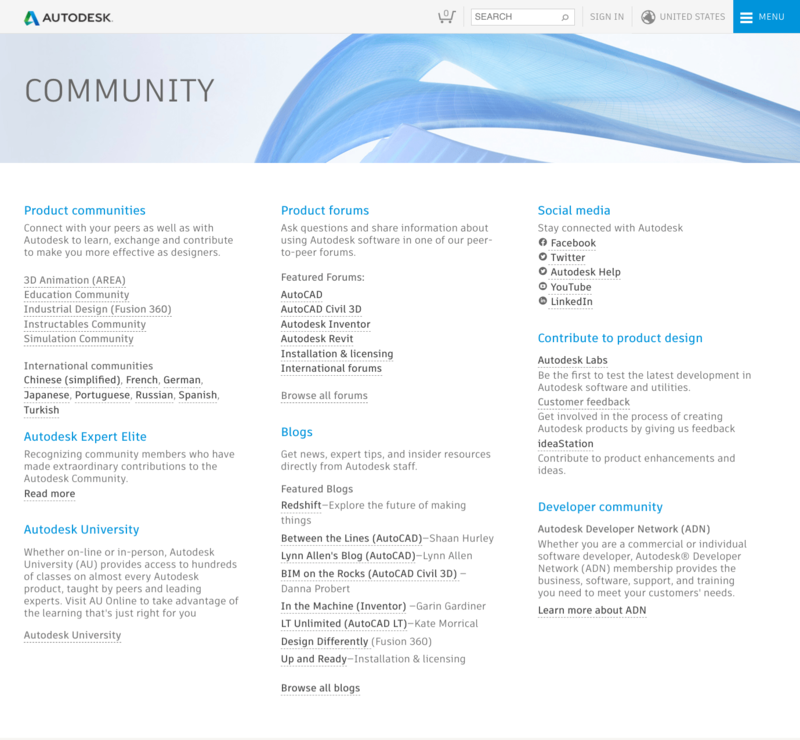 The multiple community structure allows Autodesk to create multiple homepages. Each homepage can be designed for its specific communities. In practice, these homepages fall within three categories. 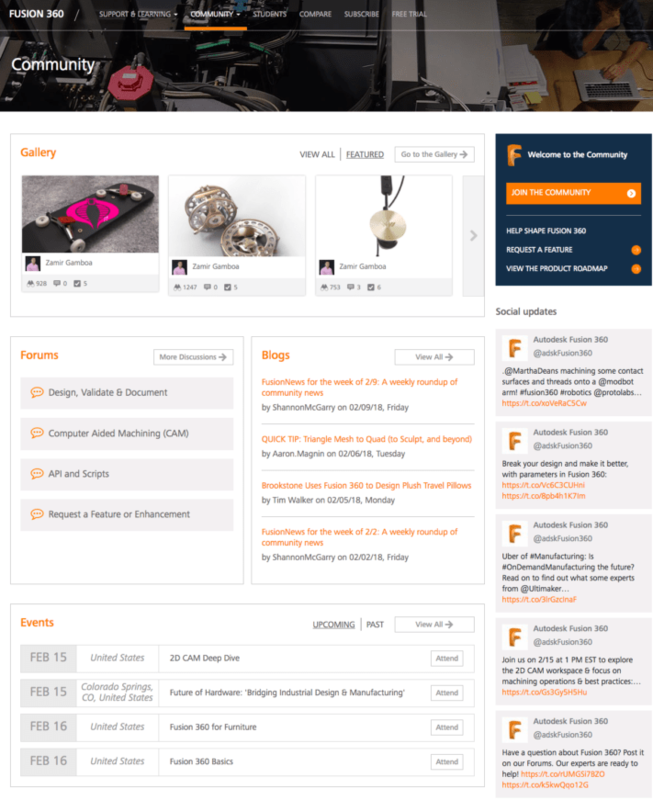 The homepage is designed to encourage members to browse to a specific forum before asking a question. The search box and ‘new post’ option are moved to the side and not given the priority they usually are in support communities. This is generally against best practice. Most people in a support community don’t want to browse a forum, they want to either search for an answer or ask a question. Showing popular solutions and common issues is terrific for dealing with questions which are asked most frequently and questions which are new/trending right now (as happens often after a new product update). Many members won’t know the precise words to use in their question, but seeing the obvious answers helps. It might be good to extend this a little further. Getting started, tutorials, and troubleshooting are all displayed in about the right place. These help members solve common problems and use the community better. 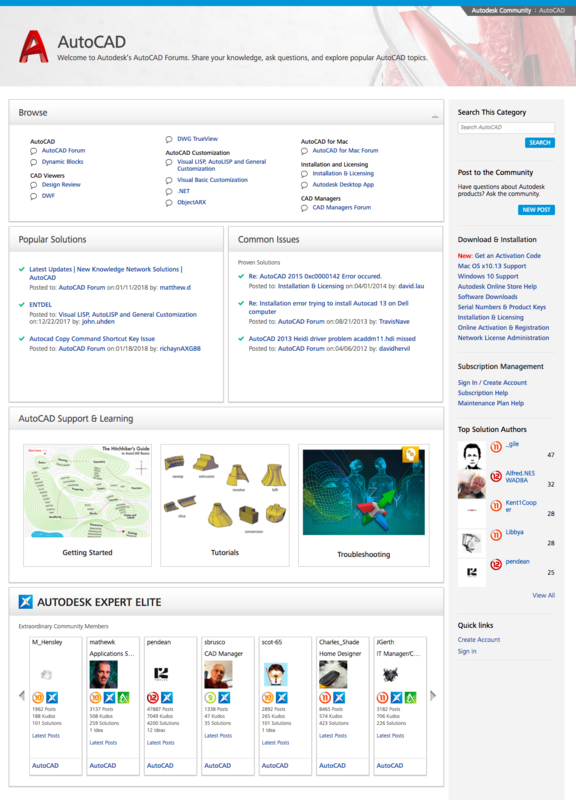 At the bottom is the Autodesk Expert Elite members. This is a simple and effective way to highlight best members. Some communities put this group at the top, this is a mistake, being featured on a website has as minimal impact upon participation. The right-hand side shows the basic product download and installation tips. This is a handy feature. It helps more members solve their problem before asking a question. The product-communities (in practice, education communities) are designed to showcase the best work of members using its products. These are often visual and encourage members to upload their work. The product communities are designed differently to allow members to showcase what they have been doing and share proactive advice. These are generally set up to allow members to share what they have created rather than asking questions about how to create things. The goal in most non-support communities is to help the best material rise to the top. The gallery at the top is ideal if the product/service itself is visual. It’s also kept minimal so visitors can see other activity as well. 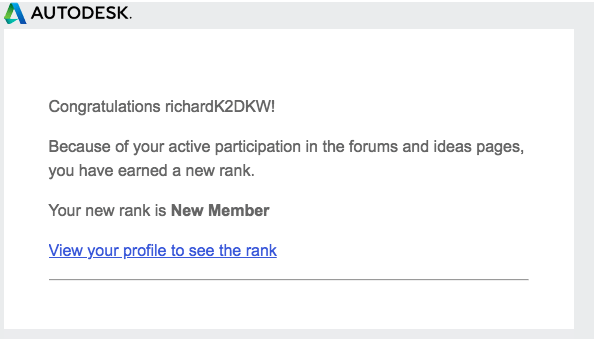 Showing the most popular forums makes sense in these communities. You want members to browse and be inspired. They’re not looking for anything specific. They want to be there. You could equally show the latest or most popular discussions here. 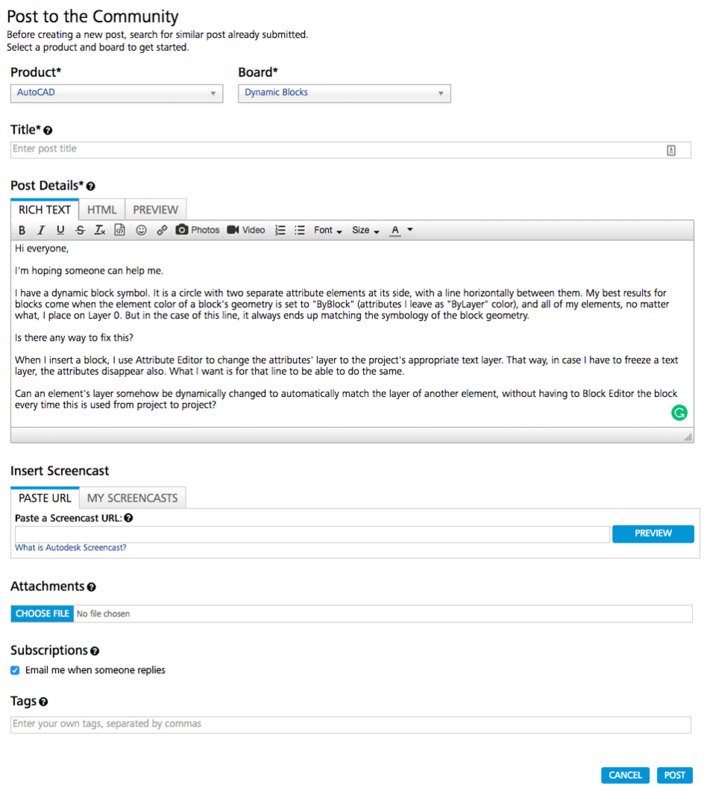 The latest blog posts widget is also useful here, but it has to be kept up to date with fresh content. Autodesk achieves this well. The latest events probably belongs as a side widget and not on the homepage itself, people can see it but only a small percentage of the audience will ever be able to attend. The other useful feature would be a reddit-style list of the most popular discussions or articles shared within the community. This happens on the Instructables site. This helps the best content rise to the top and makes it much easier for members to browse articles. It’s never easy figuring out the best way to structure international communities. Do you use conditional logic based upon someone’s IP address to guide them to a specific location? Let members highlight what language they speak and then adjust it? Or give people a list to choose from. Autodesk (below) takes the simplest route and shows all the international communities in a single list. This is usually a good idea and removes a lot of fiddly technical issues. 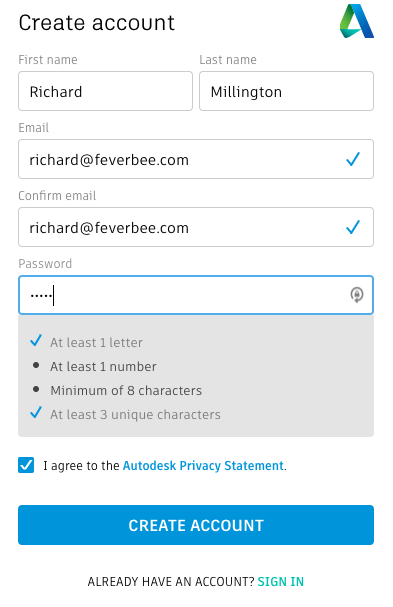 Autodesk has a reputation for having an award-winning registration and onboarding system. In 2013 the entire platform was revamped. This led to a revised onboarding system. The on-site registration process is clean and easy enough. You begin with a simple profile completion form with some conditional logic and a password prompt. Once completed, you’re invited to fill in some member registration data. This is a considerable amount of information. However, it’s not required. You can skip the entire stage. You’re asked to use your real name, but it’s not required. The interface is clean, photo upload works well, and it’s clear what will be shown in your public profile. Once this is complete, you’re dropped into your profile page. This section is a little disappointing. There isn’t really much guidance from this point for what to do next. Dropping members into a new member area would be better. Verifying the email is kept clean and simple, with a direct URL to use if the button fails. Once complete, you’re again taken to a separate page and dropped into the profile page. This misses the same opportunity to drop people into something specific. You also receive a message (with a username chosen for you((?)) which highlights your new profile rank. This feels a little confusing and unnecessary at this stage for a new member. Far better to use this to get members to do something specific. Create and participate in discussions. The translations into multiple languages is a neat touch. The email is clean. It might be worth pushing the community etiquette lower and moving up creating and participating in existing discussions to engage people immediately within a discussion. Ensuring it’s easy to ask questions and participate in the community is the critical feature of a community platform. 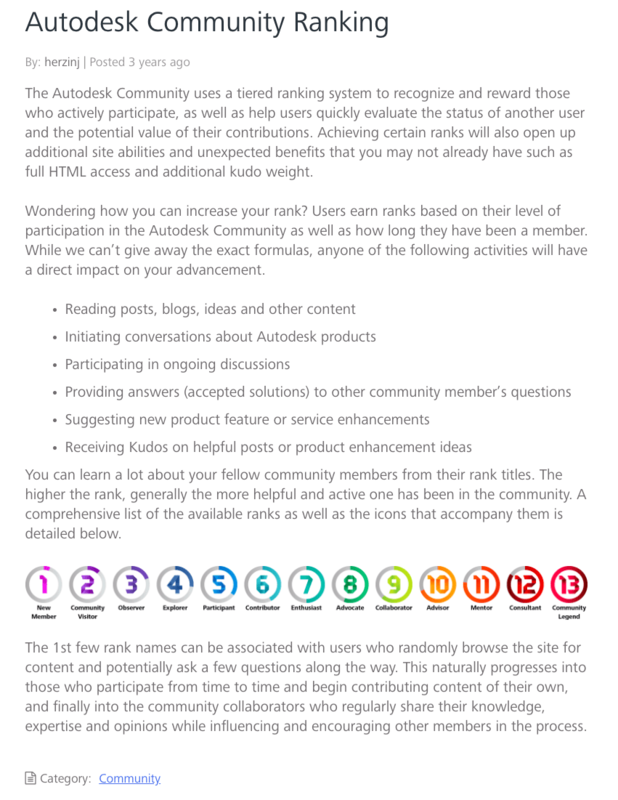 Autodesk’s community ticks most of the right boxes here. 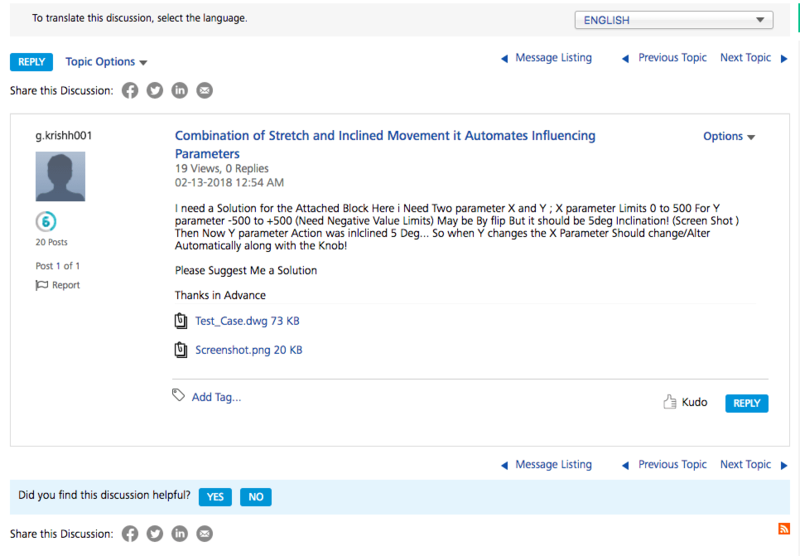 Autodesk passes the test of ensuring responses to previous questions appear when you begin searching for an answer. It’s also notable accepted solutions appear higher than questions without a solution (Apple!). Asking a question is well executed here. The product and board are automatically selected. There is a very quick line of advice to ensure people ask a good question (this could benefit to a link/drop-down). The introduction of a screencast is a terrific touch. Encouraging members to add screenshots and videos is a really great idea. The only possible improvement is automatically suggesting some relevant tags (similar to Apple’s community). The forums are very much at the world-class level of best practice. All posts are displayed by the latest update with pinned posts on the most entertaining or most important ideas. This is a great use of pinned topics. You can also browse the accepted solutions and unanswered questions. 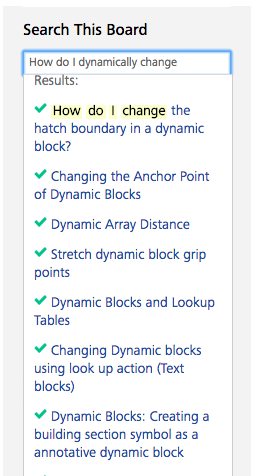 The hover text is also a nice touch and saves people clicking through to discussions which aren’t relevant to them. A discussion itself is a little clustered with potential options with two reply buttons, 4 sharing icons, profile details, report flags, topic-dropdown options, in-discussion drop-down options, kudos, adding tags, and asking if the discussion was helpful. You don’t need both a kudos and helpful discussion, it would be easier to use a ‘me too’, a response, or a helpful options and remove everything else (the other options will never be used anyhow). This drifts away from best practice here. The profile pages are generally used as status symbols within the community. This generally works well. It would be worthwhile moving rank/kudos/solutions/posts into the grey space above. The Autodesk Gamification system leaves a lot to be desired. It’s opaque, largely meaningless, and misses out on plenty of opportunities to drive high levels of engagement and activity. This is the only public post I could find which explains the system. This explanation invites more questions than it answers. There are 13 unique levels, but there are no obvious benefits or unique badges for achieving each level. It’s not even clear how to reach each new level. This is a huge missed opportunity for a community as successful as Autodesk. Autodesk also doesn’t appear to be using any unique badge system. The Apple community has a far superior system. 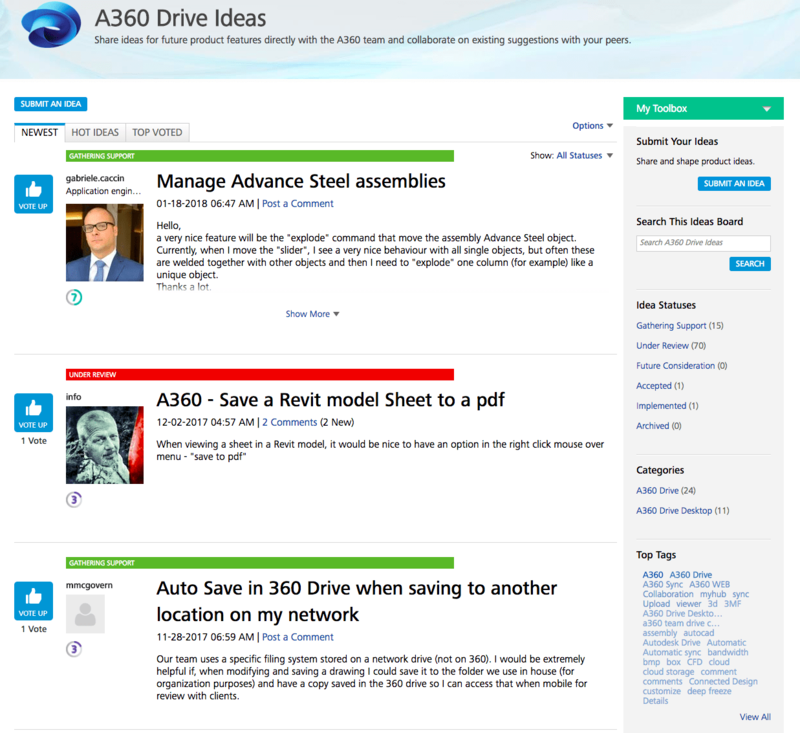 The Autodesk community has an ideation area where members can suggest ideas which might be implemented in the product. Autodesk communities host ideation areas for many of its products. Members can suggest ideas and watch progress on those ideas over time. The green and red bars work well to highlight the current status of the idea. However, many of the ideas have been under review for years. It wouldn’t be unfair to assume ‘under review’ is where ideas go to die so the member doesn’t need to experience a rejection of the idea. It would be easier to be clear and honest about what’s happening. The kudos and comments is an interesting feature, but could be greatly improved within the community if more people were using it. At the moment, the limited use in many of these areas is a real problem. It might be worthwhile only opening these areas in the communities where there is clearly a big demand for them. Overall, Autodesk has a well developed community ecosystem with millions of responses to hundreds of thousands of questions. The platform is largely designed in line with best practices with some clear areas of improvement in gamification, asking questions, and ensuring key areas are kept up to date. As a Community Manager for Autodesk, I want to thank you @richard_millington for this review, specially for the areas of improvement. Good to have a review from a community pro like you!